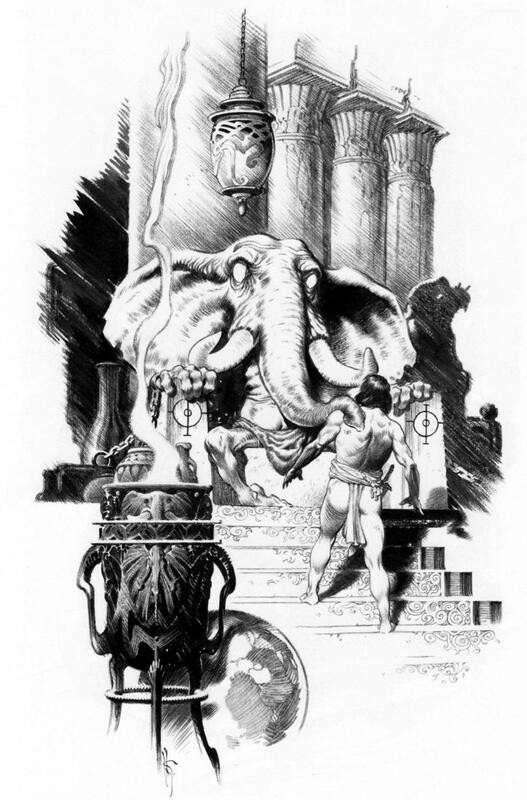 Over at Howard Andrew Jones’ blog, Bill Ward and Howard Andrew Jones continue their re-read of the first Del Rey Conan volume, The Coming of Conan, with the classic “The Tower of the Elephant,” originally published in the March 1933 issue of Weird Tales. Howard: And damn, there are giant spider fights, and then there’s the fight with the thing in the top room of the tower. The only giant spider fight I’ve read that’s on the same level is the one from the first Bard book by Keith Taylor. 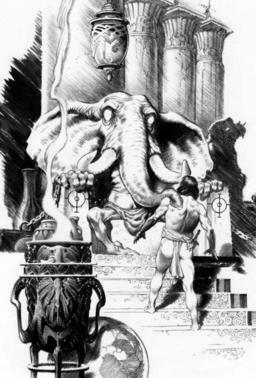 You can see this monster and its dripping venom, so virulent that it scars Conan for life… It’s just incredibly well written, so much so that even after reading this story multiple times I still find it thrilling. And unsettling. I’ve only read the de Camp version of the story (don’t know how much it differs from the unexpurgated REH) but it’s a favorite. The Savage Sword of Conan version is good too.